One of my favorite gun writers has an internet article about pelvic shots. He does a nice job discussing handgun stopping power and the importance of shot placement. He has a great point, illustrated by Bat Masterson (the real one, not Gene Barry), that an opponent collapsed on the floor is not the same as out of the fight. Here’s the inside story on pelvic shots. 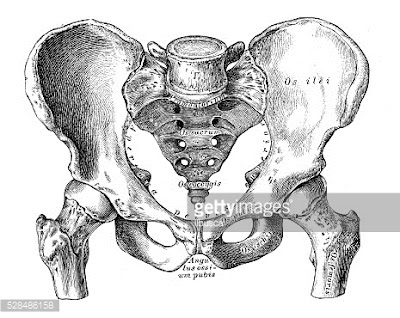 One: The pelvis is a large, massive bone designed to support our weight. It takes a significant cartridge, both in size, weight and velocity to do sufficient damage to crack the pelvis. I don’t think a .380 could do it. I suspect you might need either a magnum load in .38 or better to have a reasonable chance of success. Failure is very much an option in this undertaking. Two: Purposeful pelvis punctures should be reserved for VCA with contact weapons only: things like baseball bats, knives, and hockey sticks. The remote control weapons like pistols, rifles and crossbows can still be fired even if the assailant is on the ground. This is where the pelvis is located. Lower than you thought? This takes clear thinking and purposeful aiming, something usually in short supply during an armed conflict. Three: This is more a gut intuition. A gang (or is it mob?) of VCA with contact weapons have a second level of danger, the disparity of force created by their number. I don’t believe I would attempt pelvic shots to pin them in place as the levels of success are low. Remember, immobilization is not the same as incapacitation. Like so many things, pelvic shots have a place in your tool box, but it is a specialty tool at best.